CPI's Beverly Microwave Division (CPI BMD) designs and manufactures a broad range of RF and microwave products for radar, communications and scientific applications. 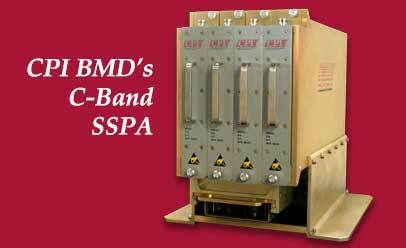 CPI BMD is the world's largest manufacturer of receiver protectors and related products; magnetrons, TWTs, CFAs, transmitter assemblies, solid state power amplifiers, scientific systems, high-power solid state switches and switch assemblies, pressure windows, a wide variety of Integrated Microwave Assemblies. CPI BMD is a modern, state-of-the-art facility with a great deal of vertical integration. CPI BMD is a strategic supplier of military components and assemblies to the U.S. and foreign military markets. CPI BMD's products may be found in numerous systems operated by the U.S. military, as well as many of those operated by other countries around the world. CPI BMD is proud of the reputation that is has earned as one of the world's premier microwave companies. CPI BMD is certified to ISO 9001:2015/AS9100D.